Everyone agrees that granting citizens access to their own personal health records would be valuable not only to families but also to the entire healthcare system. In Ontario, Canada’s most populous province, progress toward this goal has been steady but slow. Standardizing electronic health records (EHRs) for over 14 million citizens across the province has uncovered specific risks and opportunities for citizens. The process is cumbersome, requiring a delicate balancing act among privacy and security, consumer demand and increasingly affordable consumer health solutions, clinical care and safety, healthcare business viability, technology possibilities, and feasibility. In 2015, MaRS Discovery District’s MyHealth project team engaged with Bridgeable to tackle this problem head-on by using citizen-centric design and prototyping methods to understand and deliver better infrastructure, business models, and policies. This is such a complete, amazing picture. It’s such an amazing tool to have. We grounded our approach in a tangible problem—reimagining how mothers could better access the personal and clinical health information of their children. New mothers told us about the lack of control they felt in managing their child’s health information—from how often their baby fed, to where their immunization card was kept, to whether their baby was meeting developmental milestones. In a co-creation workshop, we brought new mothers face-to-face with doctors and healthcare innovators to begin to prototype what giving mothers greater control over their children’s health information would look like. The resulting solution was BabyBundle—a simple, holistic view of a child’s health, from latest milestones to feeding to immunizations—on a mobile device. Key information appears all in one place, with new information presented in the larger context of a child’s current health and development. Because BabyBundle is a flexible ecosystem of tracking apps, parents can download different features as they need them. This creates a dashboard that is always relevant and that grows with the child. Mothers are constantly asked to provide health information to different care providers—from a different doctor to a new daycare. At the same time, different practitioners often provide varying, sometimes conflicting information, which the parent is expected to pass on. 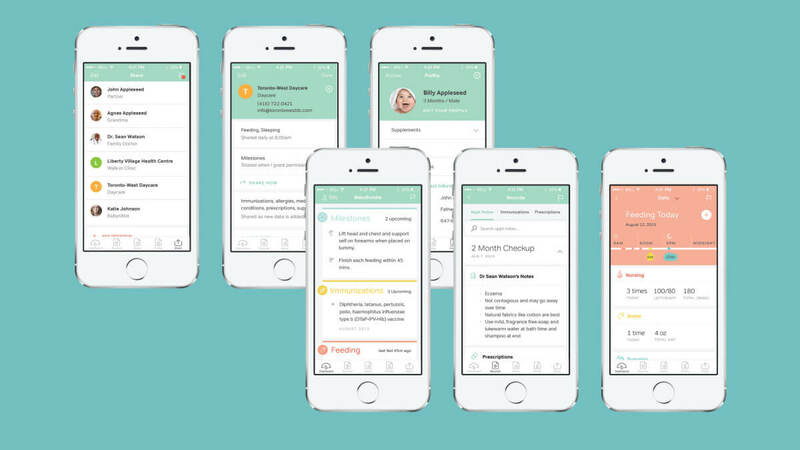 BabyBundle allows mothers to share their child’s health information right in the app so that they can be confident that all of their child’s care providers are on the same page. 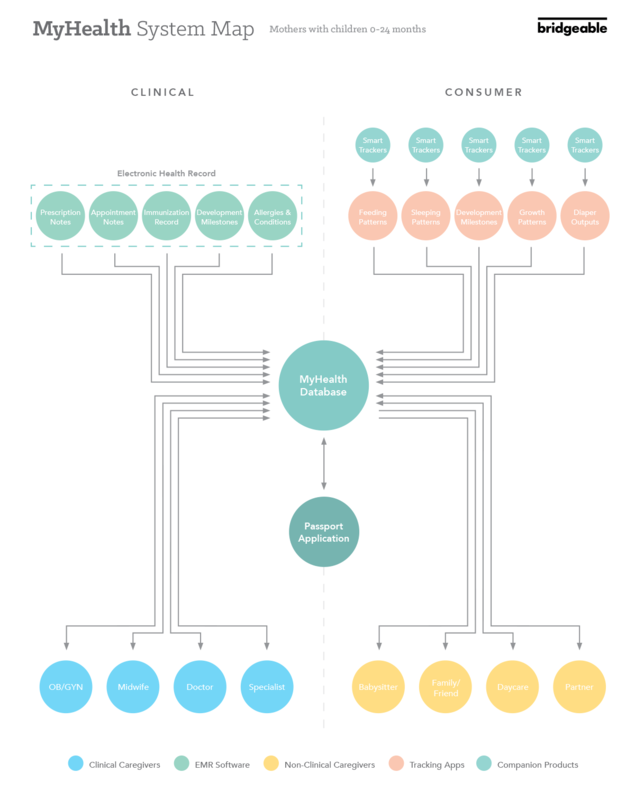 The System Map outlines all the health information BabyBundle connects with and all the caregivers the system can share with. This makes it easy for mothers to understand, track, manage, and share information about their babies’ health. The BabyBundle work resulted in the launch of Project SPARK, a partnership between MaRS, UHN, and eHealth Ontario with support from the Ontario Ministry of Health and Long-Term Care (MOHLTC). SPARK has continued this work to enable citizen-centric access to EHRs while recognizing the limitations relating to policies, practices, and technologies that currently exist within the system. See the full process of the project. How do you identify what consumers want? Engage them.